Huddle, a content collaboration startup, occasionally does PR stunts like this. We frequently hear about PR stunts, those campaigns that seek to capitalize on a moment in time for a person or company’s benefit. And when we see one, we usually groan. They can lead to boycotting, protesting, legal action, or worse. So, why would a company consider doing a PR stunt when they’re so risky? And are they actually all bad? For many companies, PR stunts can be a cheap way to get press. If you’re hungry enough for attention, you’ll do almost anything. And while I’m usually the first to give a hundred reasons as to why I disagree with the old adage, in some cases—at least for consumer tech companies—almost any press is good press. But are they actually evil, or at the very least, unethical? I’m in the camp that most PR stunts are bad because they’re often so highly subjective that you’re bound to piss people off. Maybe that’s your goal or perhaps you don’t care, which goes for all the pro-LGBT companies that have received a good deal of insults, boycotting, and more from those who disagree with the Supreme Court’s recent decision. And, too often, they’re in poor taste. How many college grads have been fired from their social media internships because of a post taken the wrong way. Yeah, it’s probably not a good idea for a retail store to “commemorate” Martin Luther King Day by offering “25 percent off everything black.” Or Airbnb’s recent (and now hurriedly cancelled and apologized-for) advertising and PR campaign in San Francisco, passive-aggressively asking the city to use its tax dollars in specific ways, a reaction to the Prop F measure on the ballot. Oof. What a disaster. But done right—and for the right reasons—PR stunts can have a positive effect. For example, when Yahoo laid off 1,500 people a few years ago, TokBox was waiting outside to give the axed employees free tacos…and information on how they could join the company. Or Imprimis Pharmaceuticals, the company that came out of nowhere last week to offer Daraprim (the $13.50/pill medication that skyrocketed to internet fame for being hijacked by Martin Shkreli and repackaged for $750/pill) for just $1, sending its stock soaring. Even if it was their plan all along to offer Daraprim for cheap (it makes over 7,800 FDA-approved generic drugs available at an affordable price), it would be hard to claim that they’re not capitalizing on the negative press that Shkreli received, building a “good guy” perception to propel their brand and bottom line. Even recognizing that they’re doing it for their own gain doesn’t make me want to high-five their CEO any less if I had the chance. And then there’s cheeky stunts like Oreo’s during the 2013 Super Bowl, which—seemingly instantaneously—launched its “You can still dunk in the dark” ads after the lights went out in the stadium following Beyonce’s Halftime show. It was lighthearted and so timely that conspiracy theorists are likely to suggest that it was all elaborately planned. 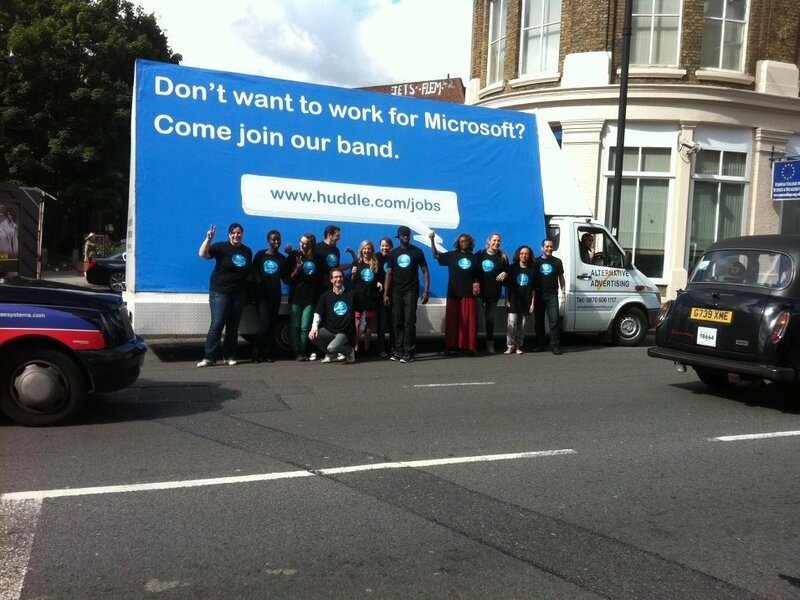 Even my former employer, Huddle, did a few PR stunts as well, that elicited mixed reactions. They once sent a marching band to crash a competitor’s conference, effectively drowning it out—and have used billboards to troll competitors. Did it get coverage? Yes. Was it all positive? No. The short and long-term effectiveness of these and similar campaigns are unclear. My personal take is the same as my stance on politicians during election cycles: focus on the issues and avoid attacking competitors. So there’s a couple of things that I think make for good stunts: a genuine ability to be the “good guy”, a healthy dose of appropriate humor, and good timing. Conversely, capitalizing on pain or disaster, off-color jokes, political expediency, attacking others, or unwarranted hubris all have the potential to be disastrous. It’s finding that balance and knowing your audience that makes for excellent PR.